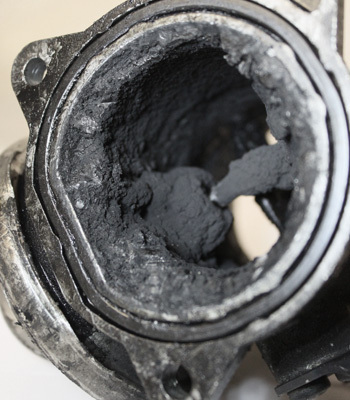 The problem lies with the exhaust gas that contain carbon deposits, this gas is constantly being recirculated through the engine, which over time will cause a build-up of the carbon deposits in the intake manifold and other parts including the EGR valve. This build up in the valve is often what causes them to fail. The EGR Cooler is designed to lower the temperature of the exhaust gases before they are recirculated back into the engine. This is done to keep the inlet air temperatures as low as possible. These are known for cracking which normally results in coolant loss. Later model Common Rail Engines have flaps and solenoids on the Coolers, as well as sensors to monitor its operation. When these fail, fault codes and warning lights may also be triggered. Some cars may have a different EGR Valves or ones that are built into the inlet manifold. If this is the case we can still remove the EGR using blanking plates or in some vehicles changing the inlet manifold allowing fitment of our EGR Delete Race Pipe Kits. Once the valve is either removed or blanked off the vehicles ECU will no longer get a signal from the EGR Valve causing the emissions workshop light to appear on the dash board. We can remove this by reprogramming the EGR software on the ECU. 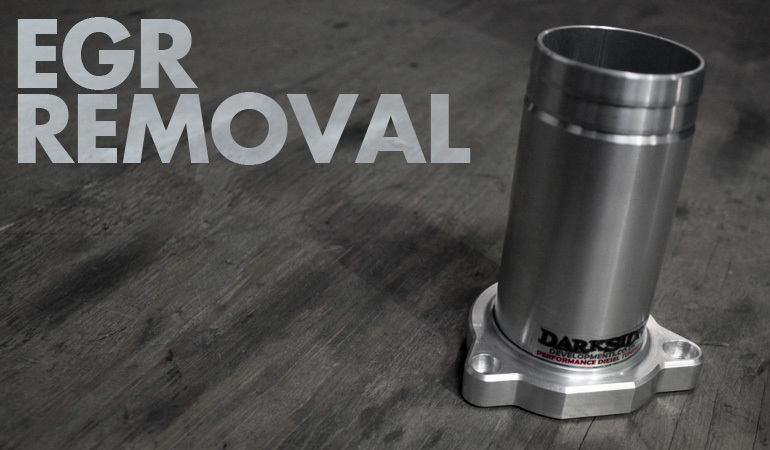 The EGR Valve should NOT be removed on vehicles that still have the DPF Filter in place, doing so may block the DPF as the EGR Valve operation is a prerequisite for DPF Regeneration.